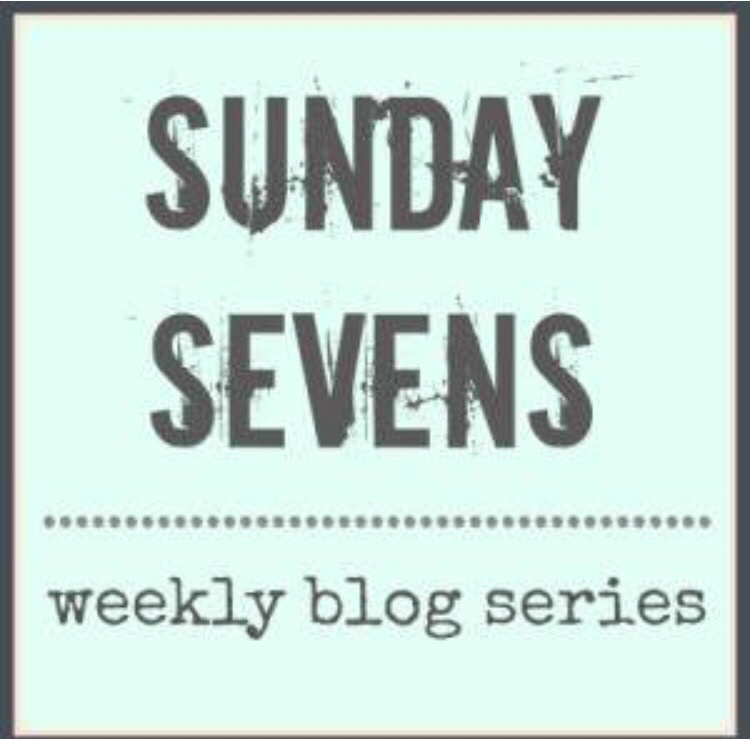 I’ve just about managed to publish this in time to still count as Sunday Sevens, after 9 and a half hours traveling back home to Gibraltar today from beautifully sunny and springlike Suffolk. So, this time last week it was Mother’s Day… feels like a very long time ago now! I do love wisteria, such a gorgeous flower! I spotted a bumble bee climbing into this bloom as I walked past last Sunday morning. 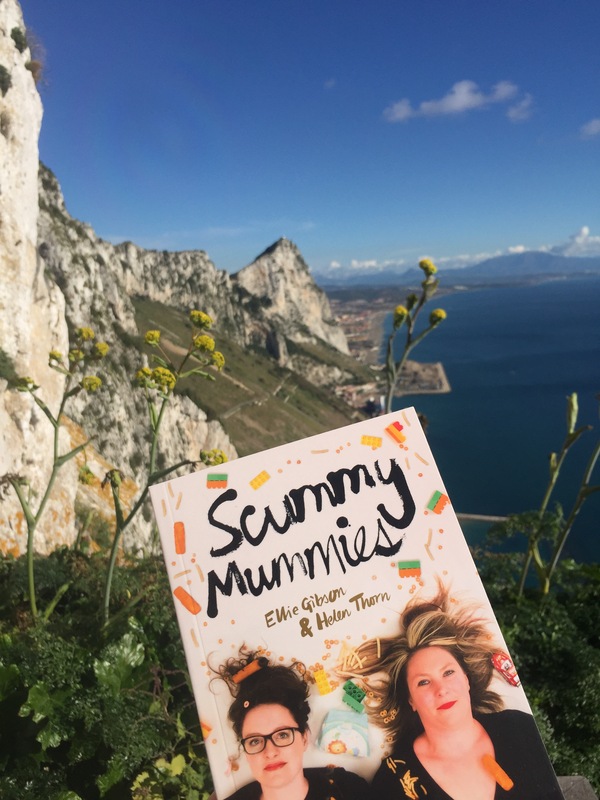 Despite weather forecasts suggesting dodgy weather for the weekend we were blessed with sunshine and, at times, clear blue skies – how lovely! Just perfect for Mother’s Day. So Tuesday saw us swerving the school run and heading to the airport instead. The Little Postcards’ only cousin was due to get married this week and we couldn’t miss that! 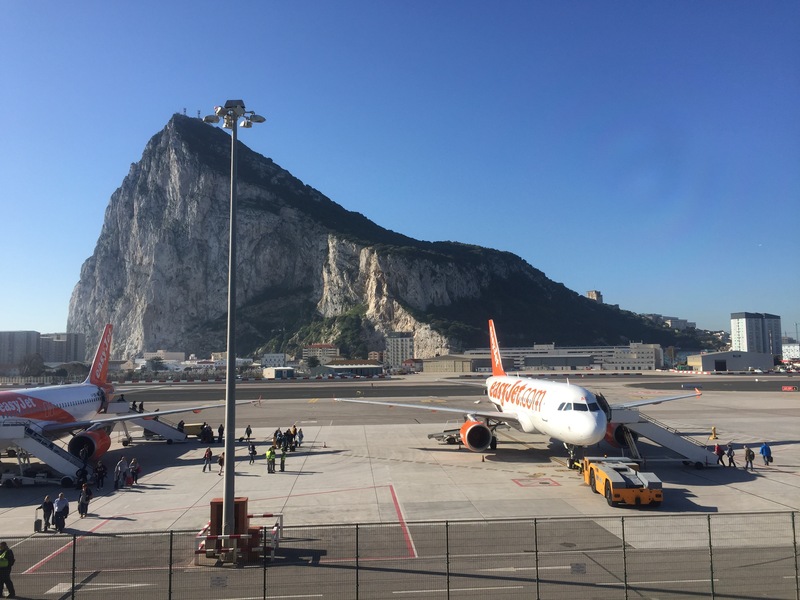 We left the cloudless skies of Gibraltar for the slightly cloudier skies of…. It was so lovely to be back in Southwold on the Suffolk coast again so soon after we our lovely holiday there last summer. 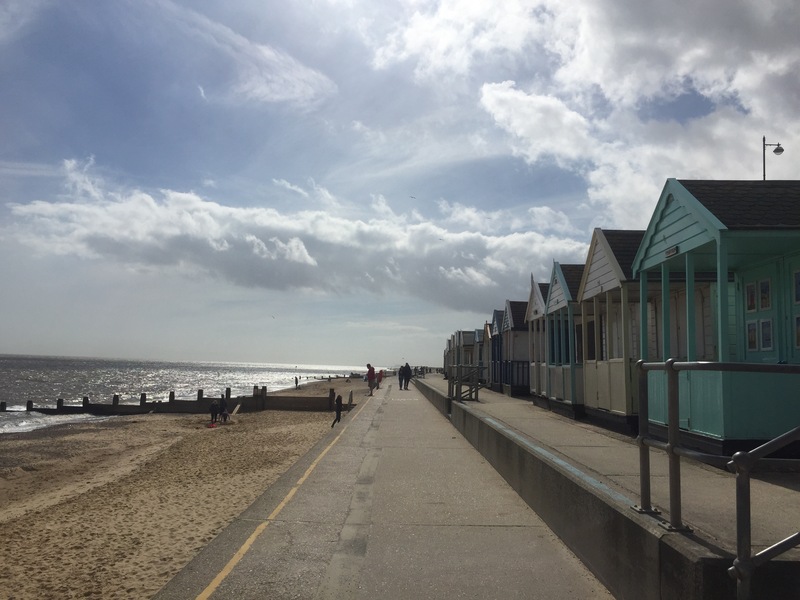 If you missed my posts all about the beautiful seaside town and pier, you can find them here for Southwold and here for the pier. We were blessed with the most beautiful weather and venue for the special family wedding we attended. I will share a few more photos of the day in a future post. 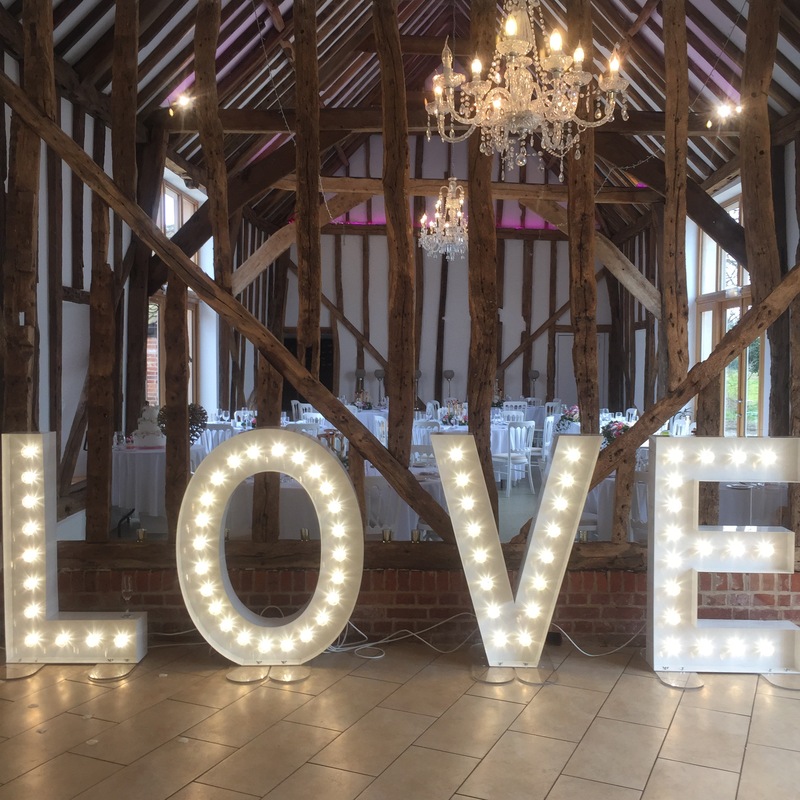 It was perfect in every way, and the happy couple enjoyed themselves immensely, as did we. Oh I do love it in Southwold. It feels like coming home to be able to walk along the prom here. We have been visiting since long before the Little Postcards were born and it is just so familiar, like putting an old jumper on! It hasn’t changed that much in the years we’ve been visiting and it’s reassuring to repeat our ritual walks here again and again (they usually involve, chips, ice cream and a visit to the pier!). It seems appropriate to book end this post with pretty flowers, Gibraltar wisteria at the beginning and some Suffolk blossom at the end. 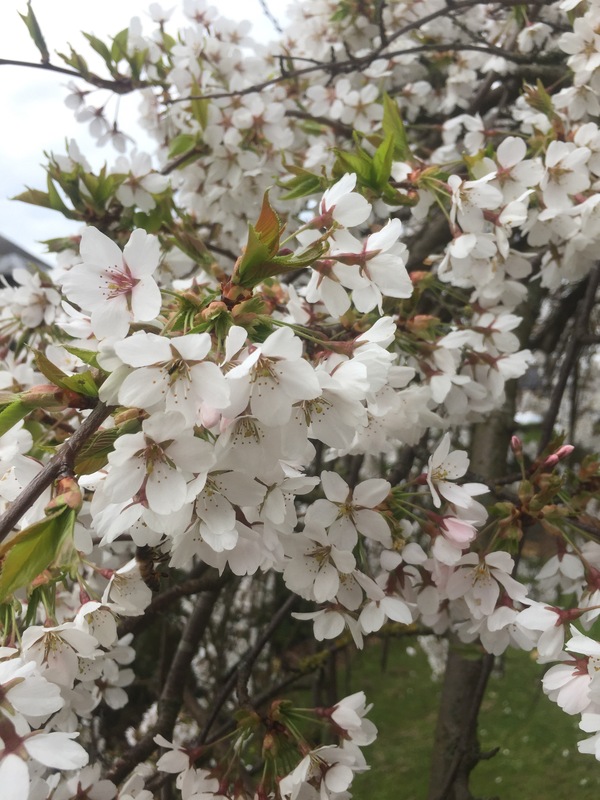 Spring has certainly sprung in the corner of England that we visited, the hedgerows were greening up, there were daffodils by the roadsides and blossom trees galore. I don’t usually visit the U.K. at this time of year and I feel privileged to have been able to witness Spring in all it’s glory on our trip. And now we’re into April already, the year is just whizzing by so fast! 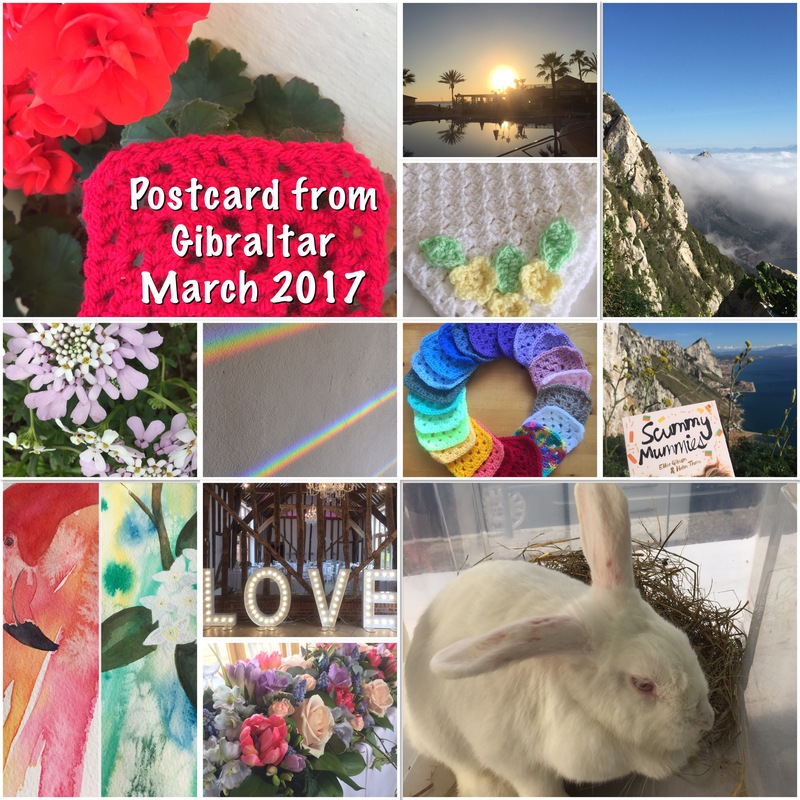 Here are a few pictures from last month, which included a trip to Spain, last week’s to Suffolk and the sad loss of our rescue bunny Snowflake. Another very entertaining week, thank you. I always say GB in the spring is so beautiful. Lovely pics and post. You must never tire of that airport view. How nice though to be back in Southwold. Love any place with beach huts! What a busy week you had! 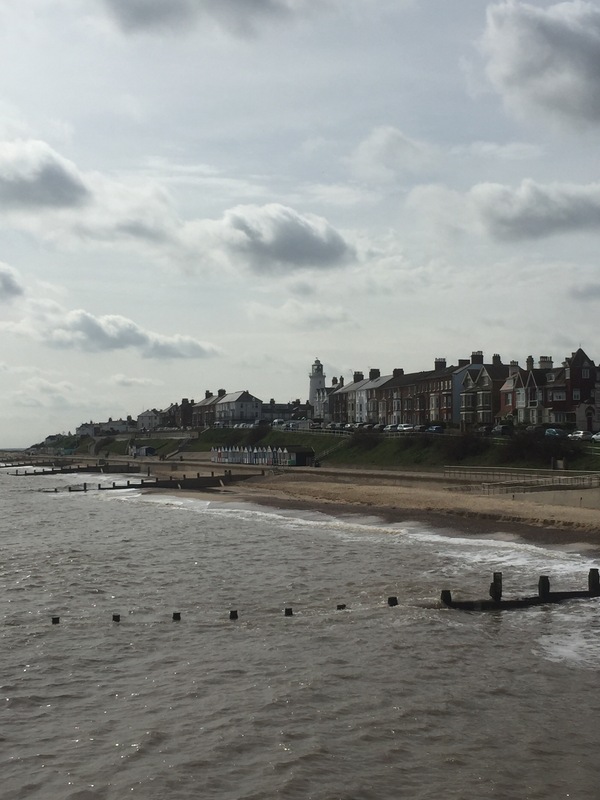 Love the pics of Southwold this week – great place to visit any time of year! True, even on a snowy day! 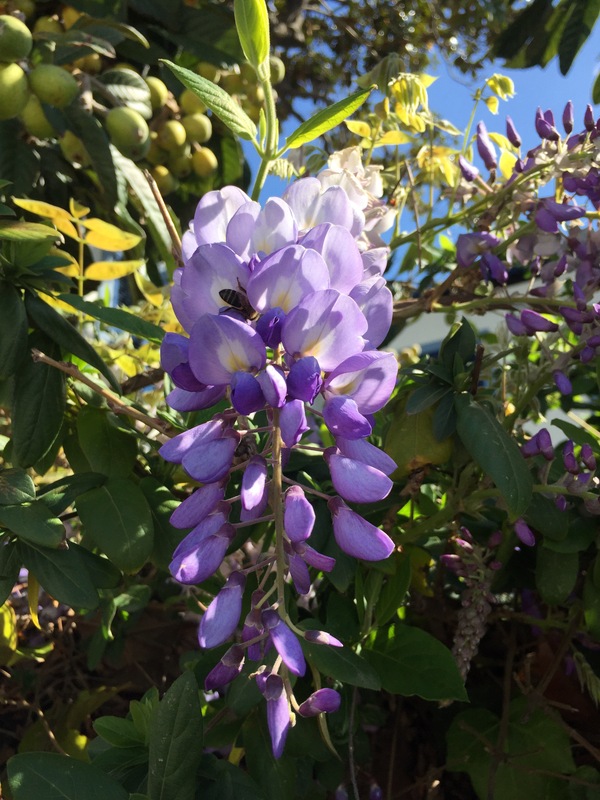 I thought Wisteria flowering so early was crazy until I realised it was in Gibraltar not Southwold! Not so much as a bud here as yet. What an incredible barn for the wedding; I shall look forward to more photos (the ex-wedding photographer in me). It’s been sunny skies every day for the last week, what a shame the clouds were lingering for your visit. Still, chips at the seaside makes up for a lot! Yes, ’til a slipped disc caused by ten years of heavy cameras swinging from my neck. Hence the return to sewing – I worked for a fashion designer in my twenties, after a self-employed stint making wedding dresses and the like. Oh wow what a wonderful, varied career you have had!